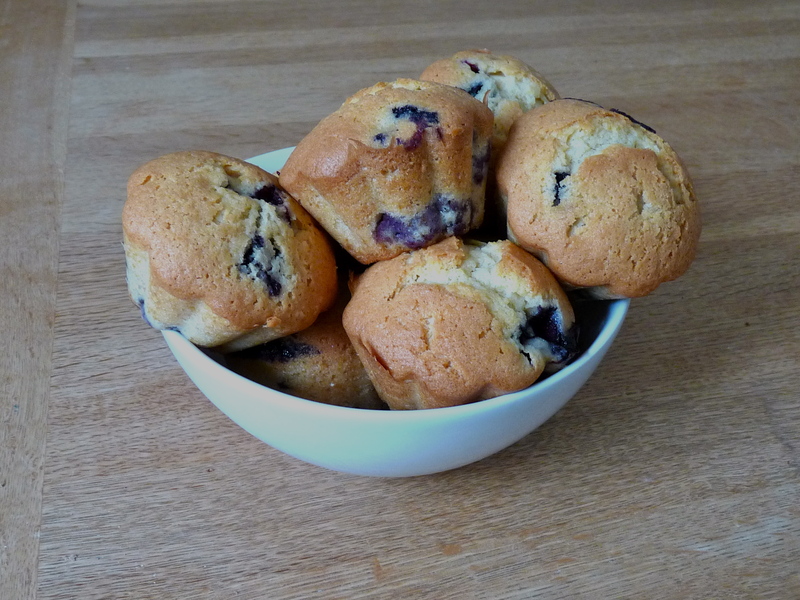 For these muffins the recipe of the the dough is the same as the one used for my chocolate chips muffins. In a bowl, mix the butter, the vanilla sugar and the sugar together. Add the eggs, the milk. Once everything is well combined, add the blueberries and stir but not too much. Bake for 30 minutes or until they are brown. This entry was posted in Muffins, Recipes and tagged baking, bluberries, chocolate, food, muffin, muffins, recipe by thebloodyfrog. Bookmark the permalink.